A well positioned mirror can do wonders for the home – adding light, space and interest. We are often asked for advice on choosing the right size mirror for the space. 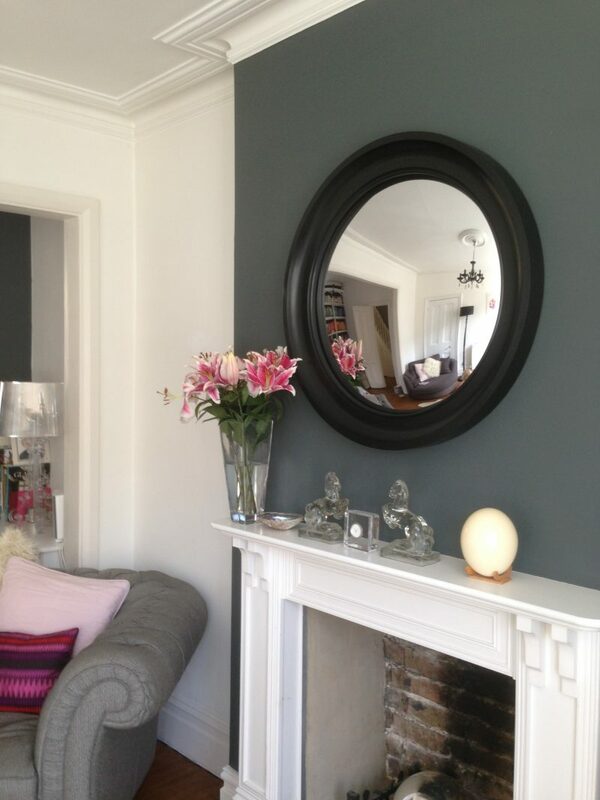 So, here are our 4 essential tips for hanging a round mirror above a fireplace. 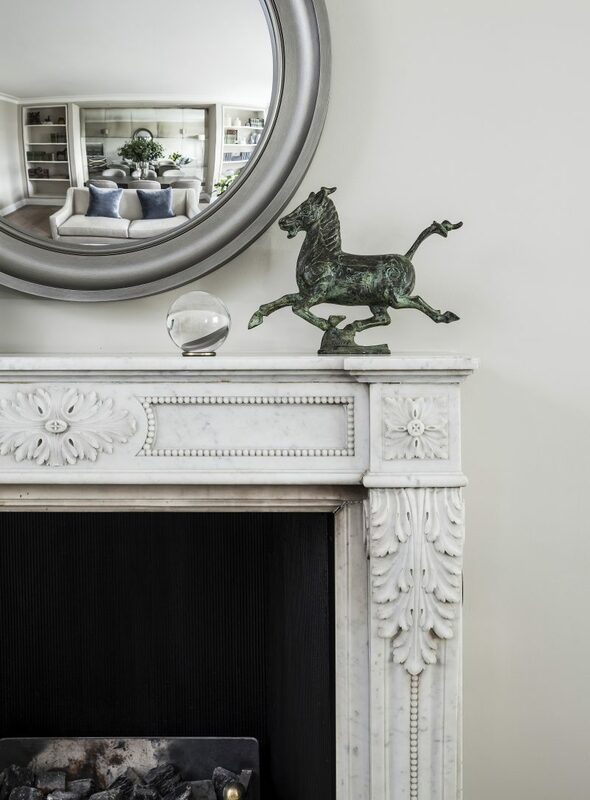 Hanging a round mirror above a fireplace works well stylistically. Visually the round shape helps to break up the straight lines of the mantle, hearth and the chimney breast. 1. Allow approx 3″- 6″ of wall space between the top of the mantle and the bottom of the mirror. 2. Ideally the maximum height of the mirror frame should be at least 4″-5″ below a cornice, or 2″ below a picture rail. 3. The mirror frame should not extend beyond the end of the mantelpiece shelf. 4. The width of the mirror (the reflective part only) should be roughly the same as the width of the fireplace opening. By no means are these guidelines steadfast. There are many variations depending on whether you’re looking to make a statement with an oversize mirror or prefer hanging multiple smaller mirrors. Ultimately, it’s a case of whatever suits your style and, in most cases, you’ll have an instinct for what looks good. 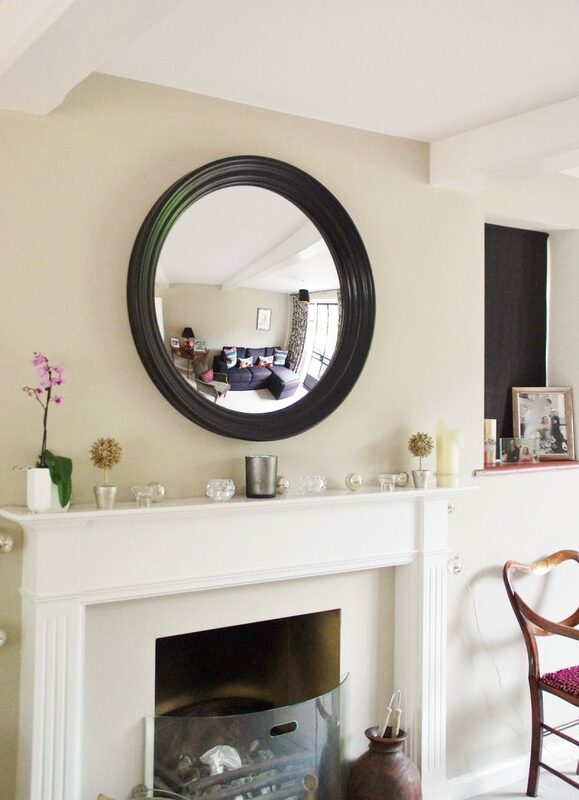 A handy tip, if in doubt, is to cut out a paper template – you may need a variety of diameters/ sizes – and tac this to the chimney breast to help you visualise the best size of mirror for your space.